The world-famous Weeki Wachee Mermaids are holding auditions to become part of their world. The auditions will be held on Friday, April 19 at 5 p.m. Those auditioning will have to perform an entrance swim test and if you successfully complete that phase of the audition, you'll then proceed to the underwater audition. The entire audition could take up to 2 hours. If you plan on auditioning, bring your swimsuit and a towel. Candidates have to be at least 18 years of age. In order to audition you must submit a resume, head-shot and state employment application to wwmermaids1947@gmail.com before the audition date. Walk-ups will not be accepted. 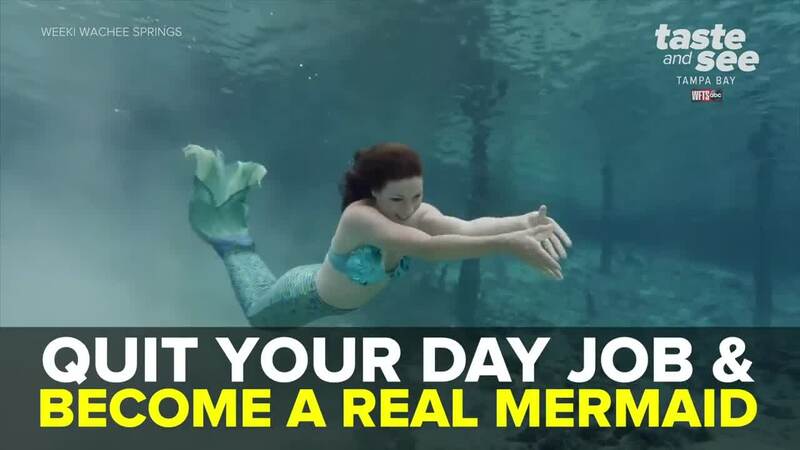 If you are chosen to be a world-famous Weeki Wachee Mermaid, starting pay is $12 an hour. Click here to download a state application.